Hey, guys so today I am back with another blog post. I haven’t managed to get many up over these past few weeks as I’ve been quite busy but also quite tired at the same time. A few weeks ago I was approached by this online fashion website called LOTD which stands for Look Of The Day. Look Of The Day is a bit like New Look or H&M in the sense that their clothes are all really reasonable. They have so many different items to choose from especially Autumn & Winter clothes. I was able to pick a few items from their website to try out and write a blog post on. Seeing as we’re well into Autumn now I decided to pick up some jeans and a pair of boots. The first item that I picked out were these jeans which are extremely ripped in my opinion. 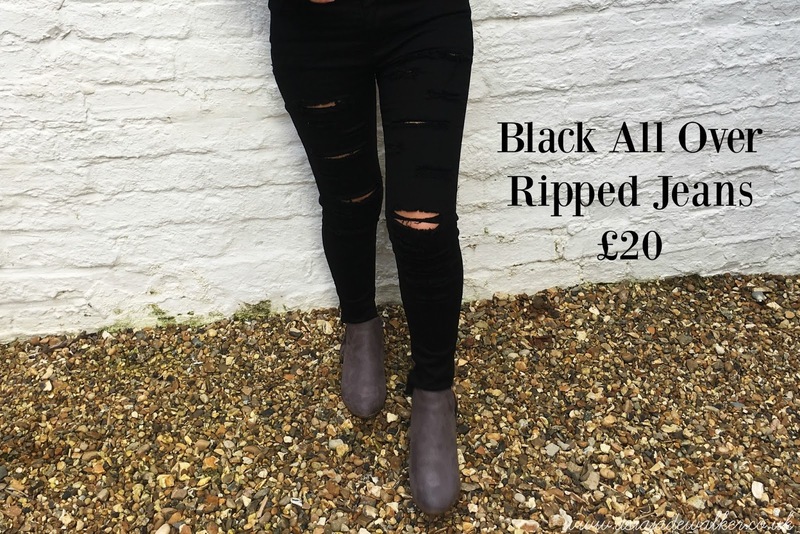 The one thing that I noticed about these jeans straight away was how soft the material is. They are made of a jean material but the material is really stretchy and soft which I like. They fit really well on me and because the material is stretchy they don’t feel too tight at all. I know that they probably won’t be good to wear during mid-November onwards as they are ripped and my legs will get cold but I feel like for now during the warmer Autumn/Winter months they are going to be a staple in my wardrobe. 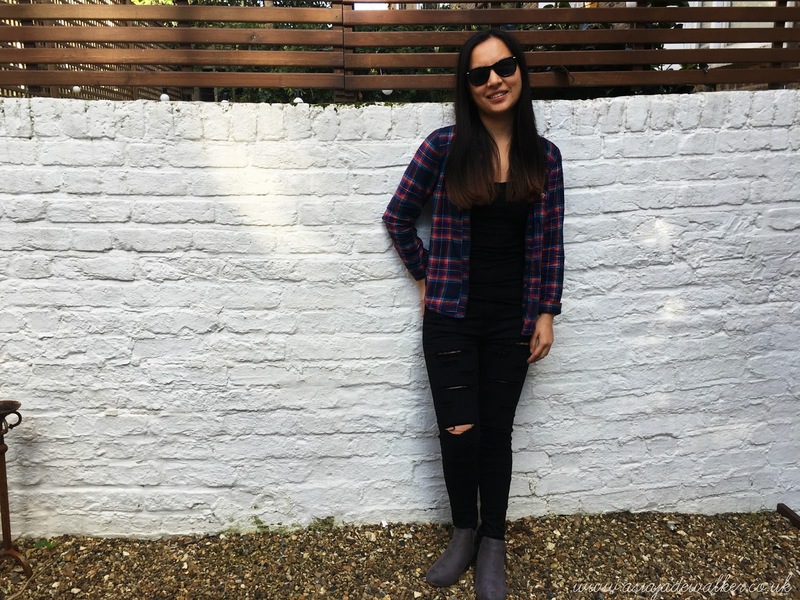 As they are black they are going to be really easy to style because I can wear them with a check shirt like I did in this look or I could wear a big thick jumper. I think as long as I carry around my trench coat with me I could get away with wearing these jeans for a few weeks before I have to switch to normal jeans without rips. The second item that I picked out were these gorgeous grey boots. I have a pair of black Chelsea boots from Kurt Geiger that I got last year at Christmas. I have literally worn them to death….no joke one of the boots has a rip in them so I thought it’s about time I got another pair. Of course, I’m going to continue to wear the black ones until I can no longer wear them but it’s nice to have another option to pick from. I really loved the colour of these boots as I’ve never really owned any grey shoes before. 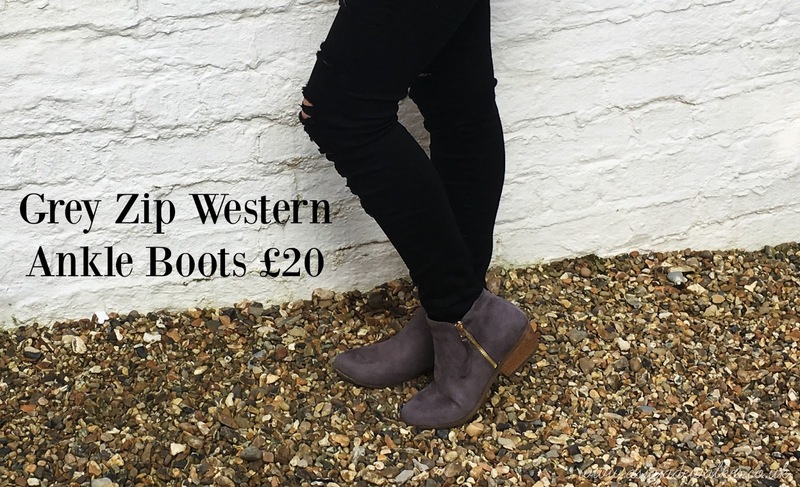 I find that grey is another easy colour to style and as I usually wear basic colours to work these boots will be perfect to team up with my work outfits. The boots are super comfy as they have a lot of cushion on the inside. I can already tell that my feet will be able to last the day in these as they aren’t that high at all and they make a clip clop sound when I walk which is one thing I look for in a pair of boots. I love being able to walk down the street and hear my boots make a sound. I would like to say a massive thank you to the team at Look Of The Day for sending me these items as I know I will wear them for years to come. I found their website really easy to use and the layout was really simplistic which is what I like in an online fashion store. I’m already eyeing up one of their Halloween tops to wear on Halloween as I’ll be working. 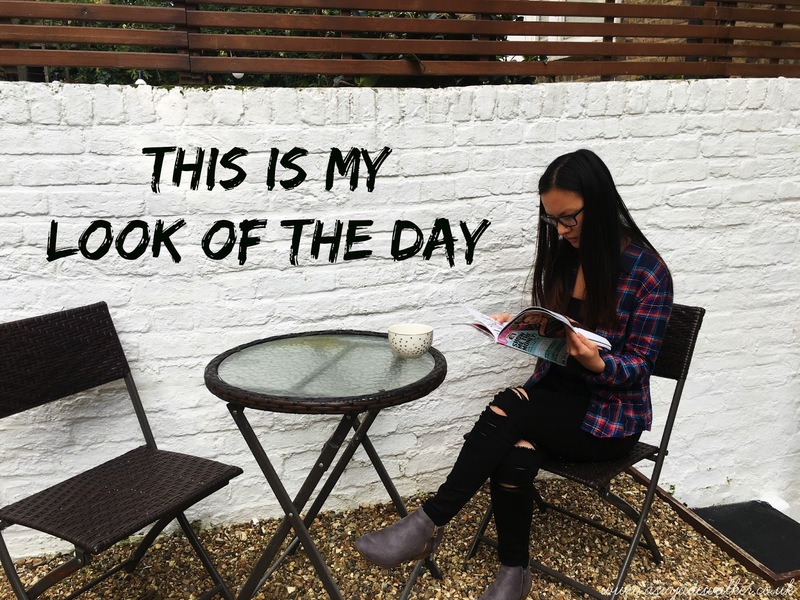 If you haven’t already checked out LOTD then I recommend you do because you could get a whole new Autumn/Winter wardrobe for not much money at all! "Video | Morning Routine 2017 VLOG Style"
"Video | My Weekly Food Shop"